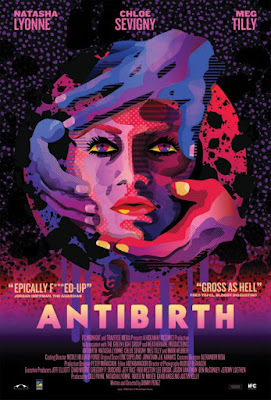 Antibirth (2016) film review. Traverse Media, Hideaway Pictures,WeatherVane Productions. Directed by Danny Perez. Distributed by IFCMidnight. On VOD from September 2nd 2016 US. Running time 94 minutes. Wtf have I just watched, a film that is so weird that I cannot actually decide on whether I hated it or loved it. I've never done drugs, but enough of my friends over the years have, and they told me about their trips, and this movie I swear is a combination of all the trips they had.With the most talented and memorable actress from the American Pie series Natasha Lyonne as Lou, in the title role in this movie, as the hard drinking, pot smoking, cocaine snorting woman, in denial, and what is actually happening to her. A party loving woman after one party too many, and far too much drugs and drink, wakes up pregnant in an immaculate conception, in the most drug induced pregnancy ever. 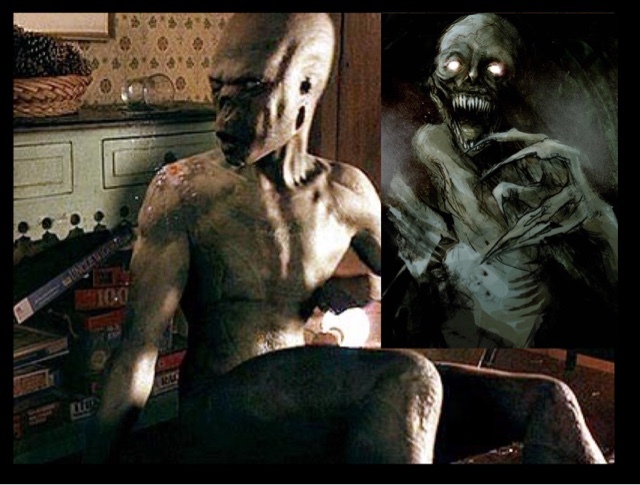 Involving bizarre hallucinations, from the TV programs she is watching, to very gross side effects of the Pregnancy. This film is weird I am warning you, but is compulsive viewing, and you continue to keep watching, no matter how bizarre it gets. Natasha Lyonne, is strangely still very attractive even in her drug induced state, with cigarette hanging out of her mouth the entire movie. With extremely gross out moments, I'm not going through them all, but the blistered puss filled foot scene is just so wrong and disgusting. With co stars equally brilliant in Chloe Sevigny and an unrecognizable Meg Tilly. This film as I said is weird, like a drug induced state, reminding me a little of Naked Lunch and Fear And Loathing In Las Vegas. In actual fact the whole directing style reminded me of a Terry Gilliam film, which is a compliment to the director of this Danny Perez. 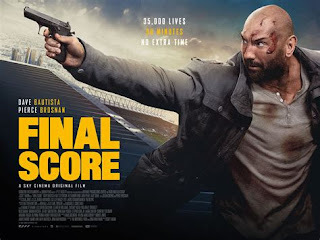 This film is fu##ed up though, the ending is genius , the perfect strange ending to an already fu##ed up film is brilliantly nuts, I loved this very weird messed up film.